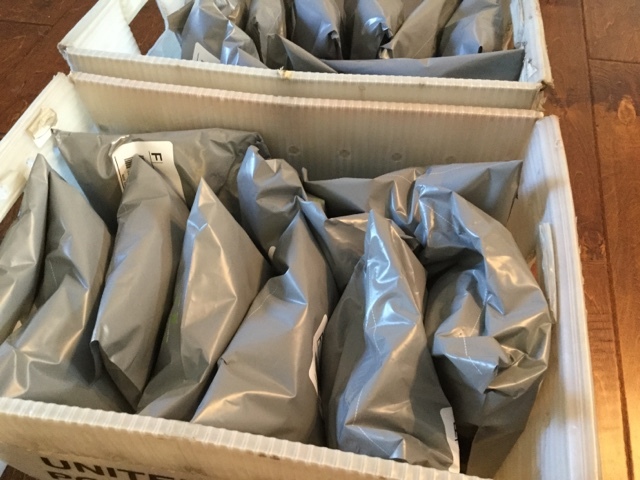 The last batch of Middle Earth Club yarns are shipping today except for those with Eucatastrophe reorders. Those will ship along with reorders hopefully Monday or Tuesday. If I'm really lucky Snowflake Choices will be out today. If not then definitely tomorrow. I will be dyeing those in 2 weeks and then dyeing the last month of Middle Earth club which should ship out on time in November. Things are chugging along. Thanks again for your patience!